Your pup mustache you a question: "Can you please get this fun Paci-Chew Mustache Dog Chew Toy by FouFou Dog?" 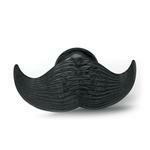 Get ready for some fun photo opportunities with the Paci-Chew Mustache Dog Chew Toy by FouFou Dog. 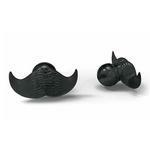 As this toy is chewed and played with, the mustache shape makes for some hilarious moments. 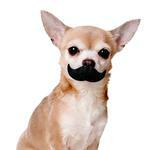 Watch Fido show off his distinguished side with a mustache. Made of durable TPR rubber and a built-in squeaker, it keeps dogs entertained for hours and even massages their gums and teeth as they chew. This company is great. All customer service reps are very polite and knowledgeable. Products are as advertised and of high quality. Orders are shipped promptly and received quickly. LOVE this place!